Customer Picture Number 487 Selected. Cool Car decals applied. Joe's insane full graphiced-out ride, and here we highlight one of its coolest aspects. 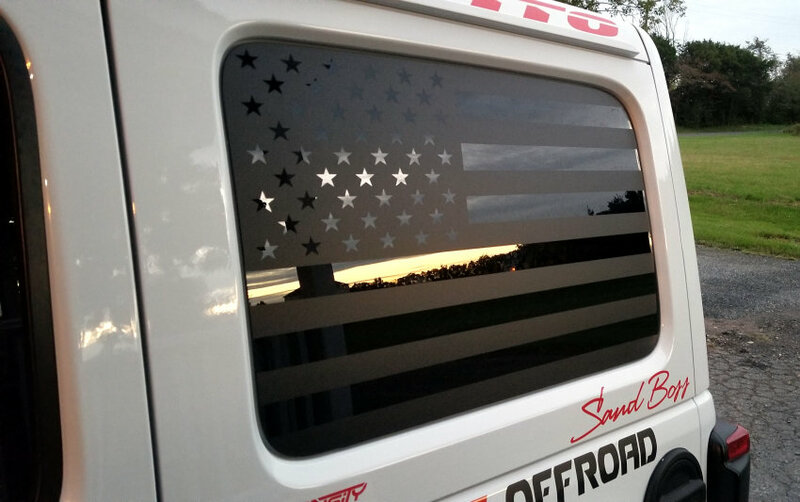 Check out this matte black American Flag side-window graphic. Absolutely striking, and one of the highlights of the month for sure. Thanks for your business, Joe.